Simulate Newton's laws for bodies that attract each other with an inverse-square force law. This solution is implemented using python's visual package. orbit.py implements the Leapfrog method for a pair of objects in their centre-of-mass frame. 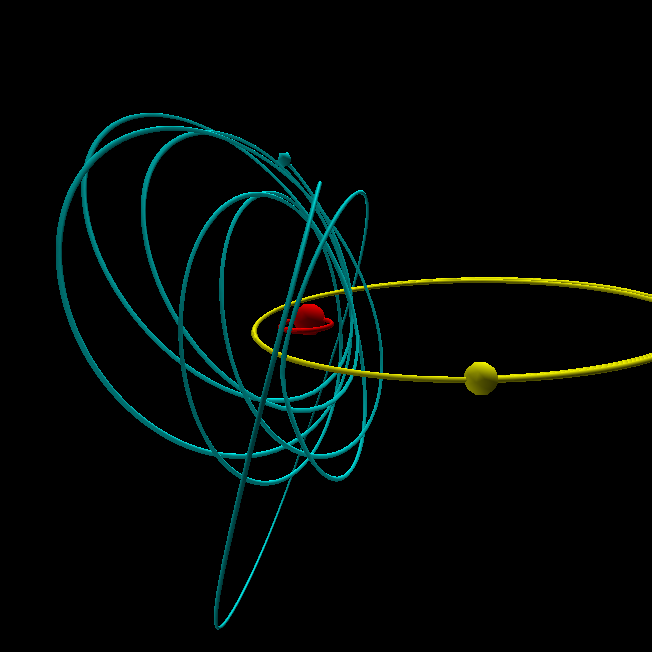 orbit3.py implements the Leapfrog method for three mutually-gravitating objects.